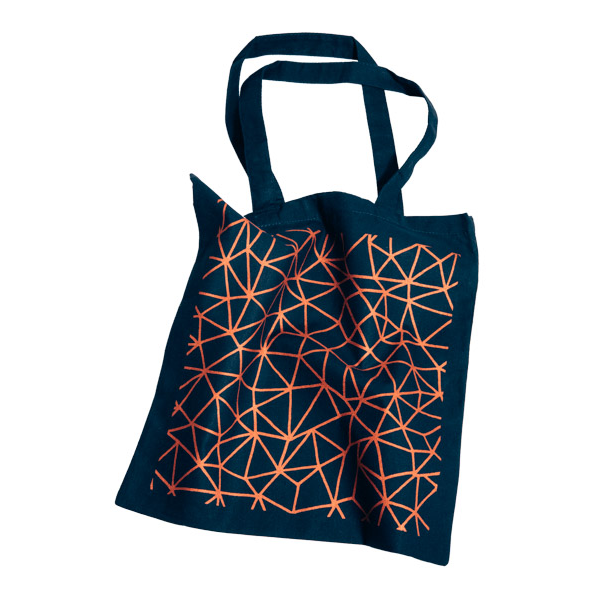 Here's the latest, we printed one of our favorite patterns, Organic Geometry, on 100% cotton tote bags. 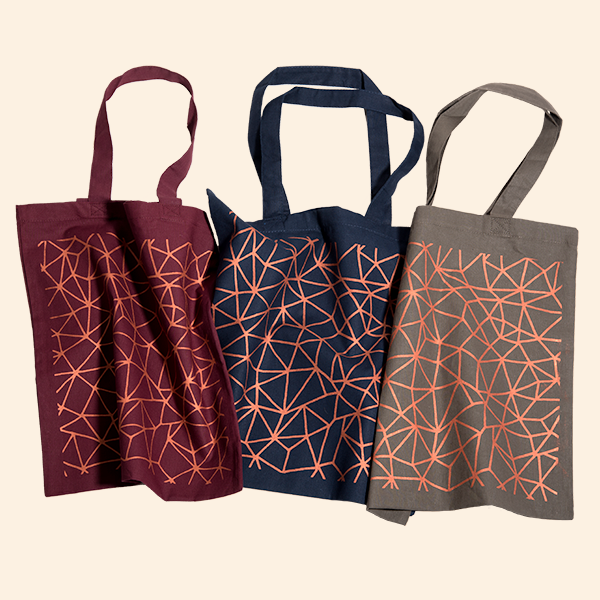 We chose navy, olive, and maroon bags to print copper ink on. They came our real nice. I've been using mine as a lunch bag for the last week and I can report that they do the job. We have a few for sale, we'll also throw one in with all orders placed on our site over $100 while supplies last.